Best dog food for senior toy breed dogs? 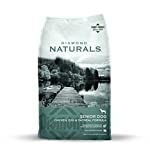 Best dog food for large senior dogs? Best dog food for senior dogs with joint problems? Whether you have had your lovely senior dog since he or she was a puppy, or if you got to become part of their lives at a later stage, it is an amazing feeling to watch an older animal run and plan just like they used to (or just like they probably did, if you didn’t know them then)! To make this possible, it is important to feed a high-quality diet tailored for senior dogs, since their nutritional needs tend to change as they grow older. By providing your pooch with the best dog food for older dogs, you are doing what you can to help them live a long, healthy and pain-free life alongside you. Don’t miss out on the chance of giving your best fur friend a few extra good years and choose wisely when picking what you believe to be the best dog food for older dogs in your family. This grain-free trout and sweet potato dog food for senior dogs has L-carnitine that supports the metabolism, which is important for senior dogs that might otherwise be prone to weight gain or weight loss. It is rich in protein and reinforced with glucosamine and chondroitin – both of wish are beneficial for aging bones and joints. The best food for senior dogs is one that helps them age with grace, something that Nulo has taken to heart. 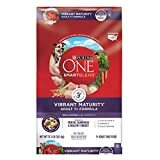 Not only is this top rated senior dog food delicious and crunchy, but it is also packed with nutrients for the skin, coat, bones, heart, and brain! There is no chicken or egg; two ingredients known to cause food allergies in some dogs, making it a mild and grain free senior dog food option. If your dog does suffer from allergies, consider these foods for allergy-prone canines. 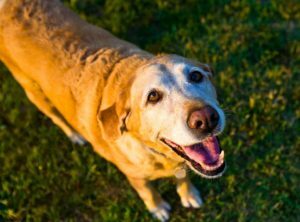 Why We Like It – While many of the best senior dry dog food products tend to focus on nourishing either the inside or the outside – this product takes care of both. A senior dog deserves the best we can afford to give them, and this option is packed with nutrients and still very affordable. How do fresh free-run chicken and wild-caught fish sound? Add nest-laid eggs, fresh vegetables, fruit, and berries to that and you get this irresistible grain-free food for older dogs! 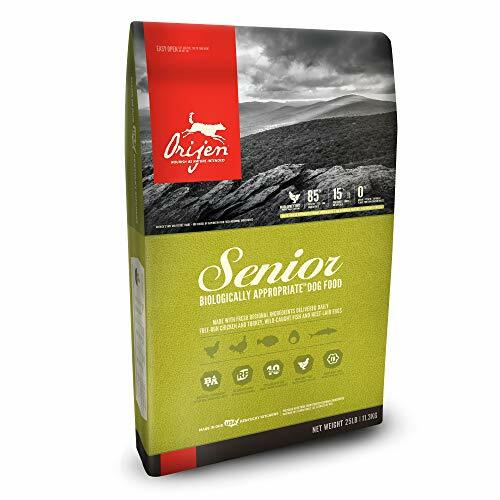 Orijen is a brand known for its quality products and its nutritious ingredients, and with a 38% protein content and a complete absence of unnecessary fillers, and artificial colors, flavors, and preservatives – it is the best dog food for seniors with a taste for the good things in life! The formula has a low-calorie content thanks to the meat used, and it helps promote lean muscle and healthy body weight in older dogs. Why We Like It – This is a dog food option for older dogs that contains all the nutrients a senior dog needs to thrive, and that is made with a wild dog’s natural diet in mind. Fresh ingredients and high in protein – a real treat for an aging fur friend! Your senior dog deserves the best senior dog food available since they have spent every day of their life alongside you trying to be a good friend. 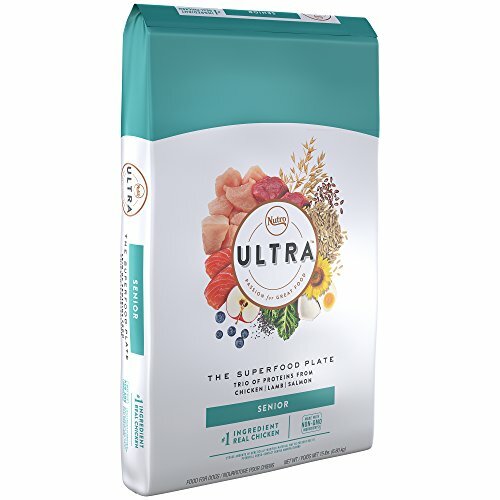 With this product, you get a powerful combination of salmon, lamb, and chicken – a protein combo developed with the aging dog in mind. A blend of 15 superfoods; such as chia, blueberries, coconut, and kale, makes it a delicious quality option worth considering when deciding what to feed your golden oldie. 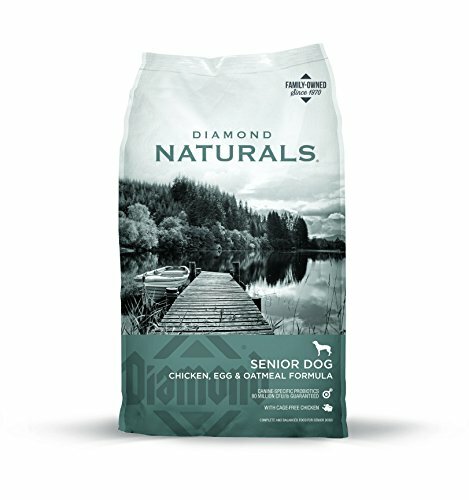 This senior dog food is easy to chew, full of natural flavor and free from low-quality protein from animal by-products. Nutro knows that only the best is good enough or your fur friend and they demonstrate this by offering one of the best senior dog food grain free products on the market. Why We Like It – The unique mix of proteins in this dog food for older dogs was developed to match with the changing nutritional needs of a senior pup! The first ingredient is real meat from fresh deboned chicken; which together with garden-grown veggies and fruit, wholesome grains and added L-carnitine makes this kibble a perfect soft dry dog food for an older dog. The LifeSource bits contain a blend of antioxidants and minerals, to boost your oldie’s health and keep him or her happy and strong for as long as possible. Calcium and phosphorus strengthen bones and teeth, it has glucosamine and chondroitin for joint health, the immune system gets a healthy boost from the added vitamins and minerals. Why We Like It – Perhaps the best dog food for senior dogs that prefer a nice blend of chewy and crunchy bits! Full of vitamins and minerals, with antioxidants that help boost the immune system. The natural Glucosamine and Chondroitin in this soft dry dog food for seniors help their aging bones and joints to stay strong and pain-free; so that they can keep running and playing just like they always have. It has plenty of antioxidants to boost the immune system, and since the immune system is key to good health – it is something worth celebrating when found in a quality dog food. High-protein chicken meal is mixed with brown rice and topped off with California avocado; which is rich in Omega 3 and Omega 6 and has over 20 vitamins and minerals to promote a healthy and shiny coat. Why We Like It – This senior dry dog food is so full of vitamins and minerals that it is almost hard to imagine how they can all fit into each kibble! Avocado helps keep the dog’s coat looking dog show ready, and Glucosamine and Chondroitin strengthen the bones and oils up the joints for improved agility. The great taste and high nutritional value make Hill’s dog food for seniors an affordable yet reliable option for loving dog owners. 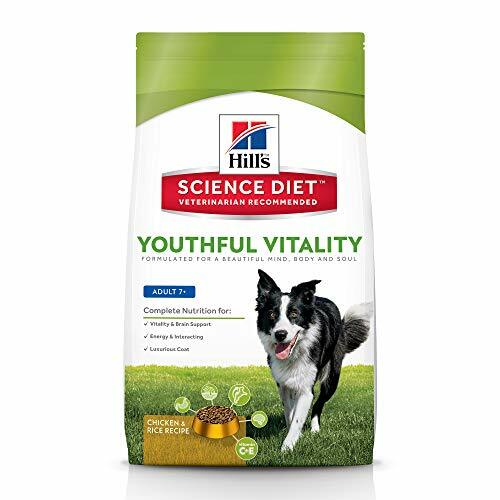 This diet dog food is easy to digest; has amino acids, minerals, antioxidants, and other vitamins, fatty acids for a shiny coat and everything an older dog needs to stay active and agile and to remain young at both heart and mind. Choose between chicken and rice, or chicken meal, rice, and barley, and pick the small dog variety if you have a tiny senior at home. It is good dog food for older dogs all sizes and all breeds, and a way to show your senior pup how much you love them. Why We Like It – Hill’s is one of the best senior dog food brands thanks to being very accessible – available in most pet stores and online, and thanks to the foods’ accessible price! Good senior dog food should be available for all families with older dogs, and it should not be a question of personal economy. Every stage of a dog’s life is different, and so are their nutritional needs as they age! 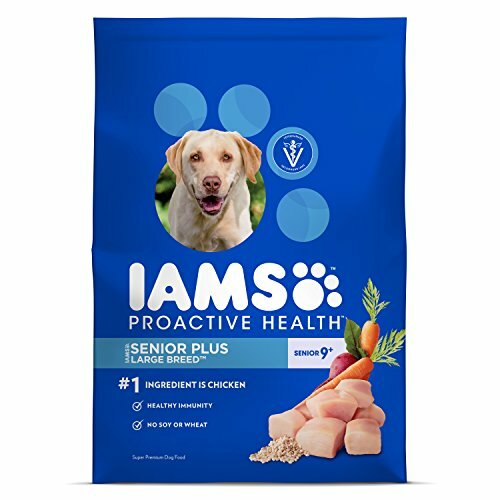 Iams has developed several different senior dog foods so that you can always find one perfectly tailored for your aged pup’s new and changing nutritional requirements. 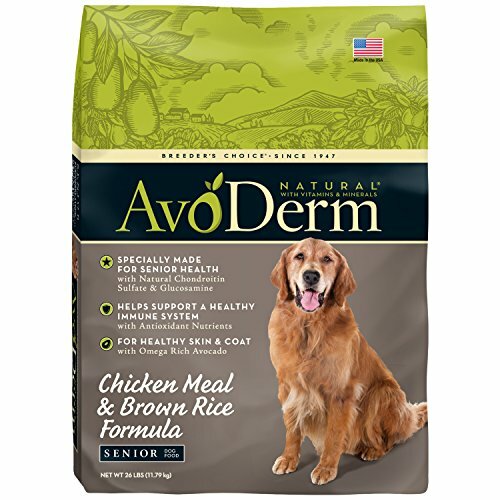 Chicken is listed as the first ingredient, followed by vegetables and legumes, fruit, delicious blueberries, wholesome grains and more – all perfectly calculated for the ultimate senior dog blend. Fiber and prebiotics take care of the metabolism; making sure that your senior pup’s digestion works as efficiently as possible, to prevent weight gain and stomach problems. 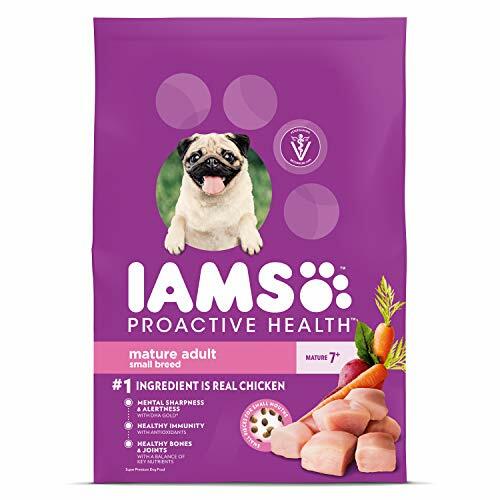 Why We Like It – Iams is one of the senior dog food brands that show genuine love for our canine friends, by providing several different senior dog food options, as they recognize that senior dogs also go through different stages. Good level of protein, and at an affordable price. When looking for a super-premium dog food senior dogs will love, but also from which they will benefit health-wise, you want to make sure you pick one that matches your dog’s size and breed. The correct kibble size can help care for gums and teeth, which is what makes this small breed variety the best dry dog food for senior dogs of smaller stature. It is full of meat (chicken), vegetables, fruit, legumes, and wholesome grains, and fiber to aid with digestion. Small dogs often have sensitive stomachs, which can worsen as they get older – making this perhaps the best dog food for older small dogs living in your household. Why We Like It – A product that is made for small senior dogs automatically becomes a contender for the title of best dry dog food for older dogs since it has taken the smallest fur buddies into consideration! It is perhaps the absolute best dog food for small senior dogs. As a dog reaches a certain age, their nutritional needs begin to change. As owners, we owe it to our pups to provide them with the healthiest and best grain free senior dog food available, as thanks for them having been our faithful friends for so long. 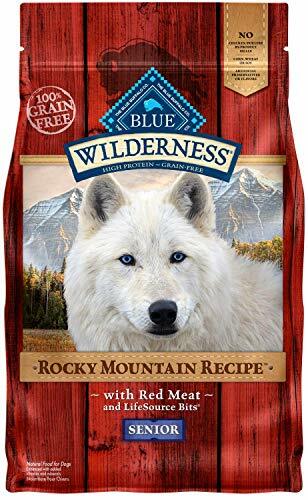 Blue Wilderness and their senior grain free dog food feature protein-rich red meat as it’s the first ingredient; delicious beef to keep your aging pooch strong and energetic. There is also deboned chicken meat to help promote lean muscle, fruit packed with antioxidants, taurine for cardiac health and glucosamine and chondroitin for strengthened bones and joints. Why We Like It – Often a top contender in best senior dog food reviews – this product offers your older pup complete nutrition and immense satisfaction, thanks to the high meat content and irresistible beef flavor. Made by a family owned and run U.S business – this is an old dog food brand you can trust! Real and cage-free chicken provides your senior pup with the protein they need to thrive, also as they are growing older, and the kibble has plenty of vitamins and minerals from fruit, vegetables, and more, and a rich fiber content from quality oatmeal, pumpkin, and coconut. All the ingredients come from substantial sources worldwide, and the food was excellent best senior dog food ratings online in senior dog food reviews – both from experts and satisfied clients. 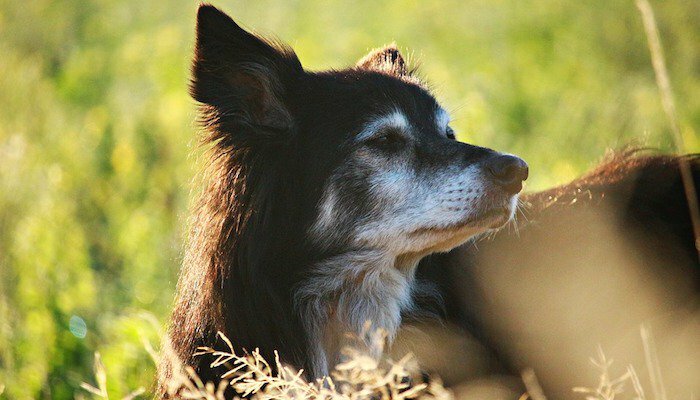 There are no pointless fillers, no corn, soy, wheat or artificial ingredients; earning this product its spot on the list of the best top 10 senior dog foods. Why We Like It – For the digestive system to function normally, the body needs all its required nutrients. 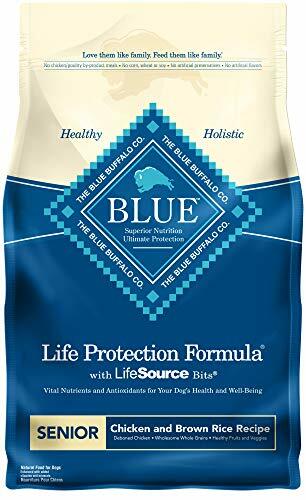 This high-quality product is full of prebiotics – known to aid the stomach and intestines in working as they should – and it is mild and gentle for an aging dog while still tasting delicious. Whether you are looking for the best senior dog food for small breeds, or the best senior dog food large breed owners will like – this is a reliable option. Not everyone knows that an older dog has different nutritional needs compared to when they were younger, and even fewer know at what age it is time to switch over to the best senior dog food brand you can find! Also, what is the best senior dog food? Is the best canned dog food for senior dogs better than kibble? What product was deemed the best senior dog food 2017 and 2018? So many questions and it is time to have a look at how to determine whether a product is right for you and your dog, and how to know when to discard the option. High protein content is important in all dog food and for dogs, all ages since dogs are biologically designed to eat meat and consume protein. This is why it is so important to double check that the product you are considering has a high enough protein level. Almost all products will announce the presence of meat – either through pictures or text – and it is crucial to know how to check if this is just good marketing, or if the dog food actually has a satisfactory meat content to fulfill your pup’s nutritional needs. Always start by looking at the list of content. The list of content is where all the ingredients are listed, and every product should have this printed on the back or on the side. Pay special attention to the first three ingredients, and make sure that a quality meat source is listed at least once. Avoid dog food with animal by-products as their only claimed protein source, since the quality of such by-products is questionable, as well as the protein content. Look for fresh meat like beef, lamb, fish, and chicken, or chicken – or meat meal. A big chunk of meat printed on the packaging is not enough, so always read through the ingredients to establish that it has a high enough content of what will be giving your senior pooches the energy to keep running and playing at the dog park with their friends. These two are naturally produced in the dog’s body, but the production slows down as he or she ages. It then becomes important to substitute what their own bodies can no longer produce, by providing them with the best dog food for adult dogs available, since these tend to have extra glucosamine and chondroitin. Glucosamine and chondroitin help strengthen bones and joints and prevents arthritis and other painful bone- and joint diseases. Some choose to give additional supplements to their aging dogs, but by choosing a senior dog food with the two – you save yourself both trouble and money. A painful joint significantly lowers a dog’s quality of life, so take the opportunity to try and prevent it while there is still time. Recent studies show that taurine plays a significant role in preventing heart disease and cardiac issues, which is something you will want to avoid at all costs when dealing with senior dogs. Just like humans; a dog’s organs age and become more vulnerable to age-related disease and discomfort, and while there is still research being done on the subject of taurine, it is something you will want your dog’s food to have regardless of whether you have a senior at home or a younger dog. It is not just a question of finding the best senior dog food for sensitive stomachs or the food that your dog will love the most, but you also need to make sure you find one with essential nutrients like the worldly discussed taurine. The ‘Iams Proactive Health Small & Toy Breed Senior’ is made especially for small dogs; with an appropriate kibble size for improved oral health, and a rich flavor that even the pickiest (because let’s face it – small dogs can be picky) eater won’t be able to resist. Large dogs need plenty of protein to keep them going, and the ‘Orijen Senior Dog Food’ has everything to meet an aging large dog’s needs. It is packed with lean meats for protein without the risk of weight gain, and it is made with products from free-range and wild-caught animals. 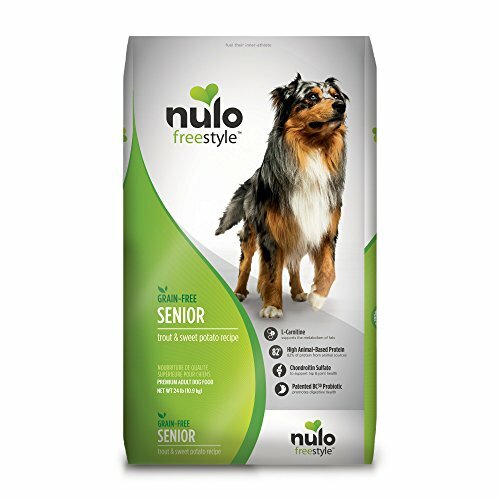 A product like the ‘Nulo Senior Grain-Free Dog Food with Glucosamine and Chondroitin’ have meat listed as its first three ingredients; meaning it has enough protein for an older dog, and it also has added Glucosamine and Chondroitin to help prevent joint problems and treat dogs where problems have already presented themselves. Having a senior dog at home is nothing short of a blessing, and it is a good reminder that every day with your best fur friend should be made to count. Whether you prefer your senior dog food grain free, or if you rather provide your pup with the best wet dog food for seniors – the choice you make will have a significant impact on your fur baby’s overall health. Choose wisely and do your research instead of settling with the first brand you find. A senior dog food review can help you find potential candidates (products worthy of your consideration), but in the end, it comes down to your dog’s individual needs and preferences. If you are unsure of when to start feeding a senior diet – book an appointment with your veterinarian or with a dog nutrition specialist, as it depends on the size of the dog, breed and overall health status. As a rule, however, you probably want to start considering it once your pup reaches 7-8 years of age. Dogs are very good at hiding pain, so even if you haven’t noticed any signs of your aging dogs having trouble with their joints (a common age-related issue), it does not mean they are not feeling the weight of getting older. 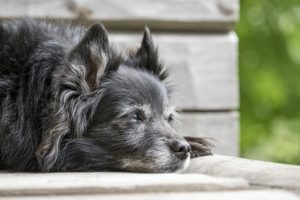 Senior dog food can help prevent and treat this, so even if your oldie seems young and happy – you still want to consider switching them over to a senior kibble or wet food.